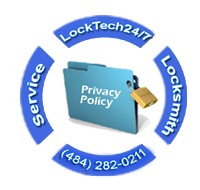 LockTech24/7 (“us”, “we”, or “our”) operates the LockTech247.Com website (the “Service”). We created this page to inform you of our policies regarding the collection, use and disclosure of Personal Information when you use our Service. When we use your Personal Information for providing and improving our Customer Service. By using our website, you agree to the collection and use of information in accordance with this policy. While you use our Service, we may ask you to provide a certain personal information that can be used to contact you. We wont to serve you better and your personal information is regarding our service. Your Personally identifiable information may include, but is not limited to, your name, phone number and location (“Personal Information”). We collect information that your browser sends whenever you visit our Website. Your computer’s Internet Protocol (“IP”) address. The pages you visit on our website. Time and date of your visit. The time you spent on our service page. Perhaps, you heard the name cookies. Cookies are files with small amount of data, which may include an anonymous unique identifier. Whenever you use a website, cookies are sent to your browser from that website. And cookies are stored on your computer’s hard drive. You can set up your browser to refuse all cookies or to indicate when a cookie is being sent. However, if you do not accept cookies, you may not be able to use some portions of features on our Service. We do not hire third party companies or contractors to facilitate our Service. When you hire us, we provide the Service from beginning to end. Our locksmiths performs all services and assist us in analyzing how to serve you better. We concern about your privacy because it is important to us, as well as the security of your Personal Information. With this in mind, you must realize that there is no method of transmission over the Internet, or method of electronic storage is 100% secure. While we strive to use commercially acceptable means to protect your Personal Information, unfortunately, we cannot guarantee its absolute security. We have no control or whatsoever of responsibility for the content, privacy policies, or other practice of any third party websites, especially its services.